Del-co Realty Group is here to assist you in your search for the ideal home in Greenville County and surrounding South Carolina communities. If you're a looking for houses for sale in Greenville, SC, we have all the current listings at your disposal, and they're updated every 15 minutes! Start your search of the local MLS® now or create a custom search that you can tailor to your specific needs. Check out our buyer resources for new homebuyer information and to use our mortgage calculator! If you're looking to sell your Greenville, SC real estate, you can have your listing displayed right here! As our client, we leverage our experience, exposure and technology to ensure your home is sold in reasonable time and for top dollar. Our seller resources include Greenville home values and will help prepare you to sell your home! Del-co Realty Group is a local favorite in Greenville. Our agents are dedicated to giving you the very best service, no matter how unusual or difficult your needs are. We'll customize a solution to exceed your expectations! We care about this market and the people who live in it- after all, we live here, too! When we make great things happen for a family or an investor, it reminds us that we entered this business for the people. This website is a perfect resource for houses for sale in Greenville, SC and to learn more about the various communities and neighborhoods of Greenville County. Start exploring the Greenvile area by browsing the cities listed below! If you already know what city you'd like to live in, start browsing their neighborhoods and communities to find the perfect one for you and your family. New Construction in Greenville is BOOMING! Our new comprehensive search tool allows you to easily and quickly view all new homes in Greenville, SC and the surrounding area like never before. Browse new construction communities, search custom home plans by SC builders or customize your search to find the perfect new community or home plan for you and your family. 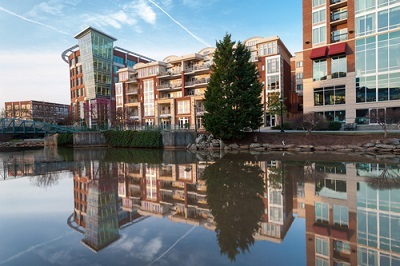 INTERESTED IN GREENVILLE, SC REAL ESTATE? If you have questions about Greenville, SC or the surrounding area, please don't hesitate to call us at (864) 292-3333 or contact us online. We'll help you with all of your Greenville real estate needs.